Last year, I posted eating ice cream without gallbladder and now an ice cream made of fresh milk from cow. A fresh milk ingredient direct from a dairy farm. Molave Milk Station, located along the highway of Mantalongon, Barili, Cebu. It is part of the Molave Wood Farms and Stables. It is a popular stopover for travelers going to south-west of Cebu. It offers fresh milk, cheese, ice cream, yogurt, and some snacks – even pizza. Dairy lovers will definitely love the place. We made a stop going back to Cebu City at Molave Milk Station after our Mantayupan Falls outing. A free treat of fresh milk ice cream was given by our company. 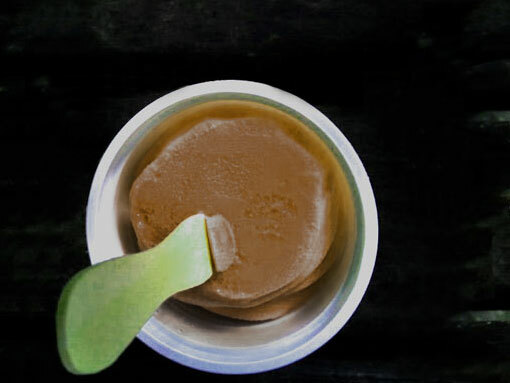 The ice cream comes in different flavors – chocolate, strawberry, ube, mango, and buko pandan. Each of us were given a cup of ice cream. It is so yummy. And my other officemates ordered additional, no-longer-free fresh milk as well. I was so hesitant at first to eat the fresh milk ice cream, knowing that I no longer have a gallbladder and it is a fresh milk ice cream. But I did eat it and waited a few minutes for any adverse reaction but none. So, eating fresh milk ice cream without a gallbladder gave me no adverse digestive reaction – no stomach discomfort, no upset stomach, no diarrhea. Good for you, you can eat any dairy products. Sad to say, after my gallbladder operation I ended up being a lactose-intolerant.